Azi Amiri. Photograph by Rachael Elana Photography. 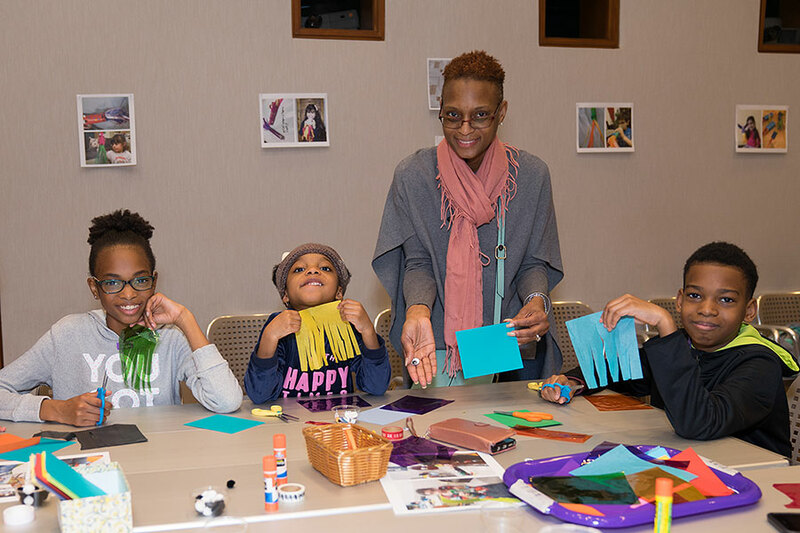 The Morgan celebrated its annual Spring Family Fair on Sunday, April 15, 2018. 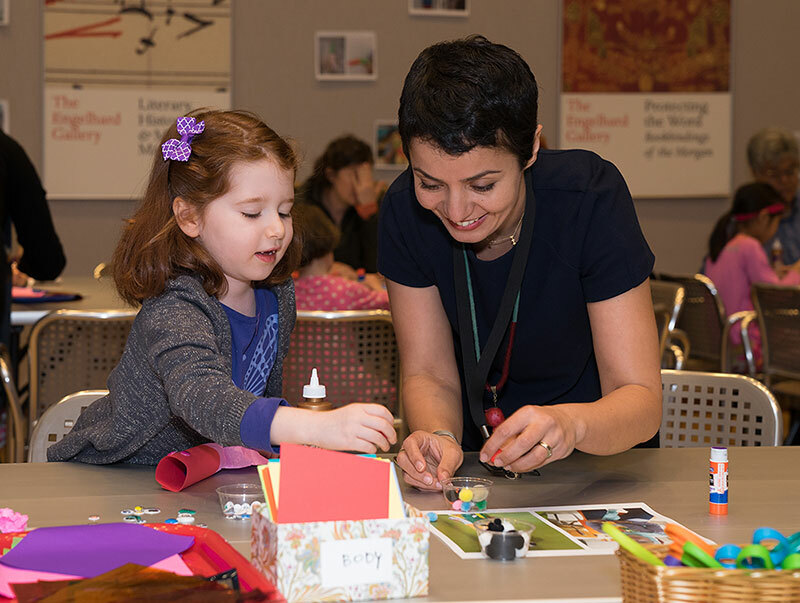 Among the activities was a craft session with Azi Amiri, who led students in making paper dragons inspired by the Morgan’s collection of medieval manuscripts. Azi, an Iranian artist living and working in New York, has been part of our school and family programs since 2015. 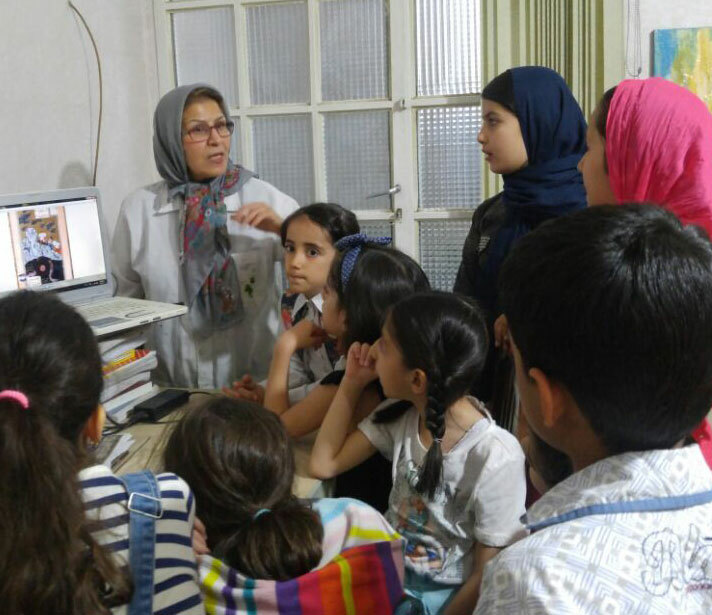 In addition to teaching at the New York event, she connected online with more than sixty Iranian families. She instructed them how to create the same paper dragons made during the Spring Family Fair here. 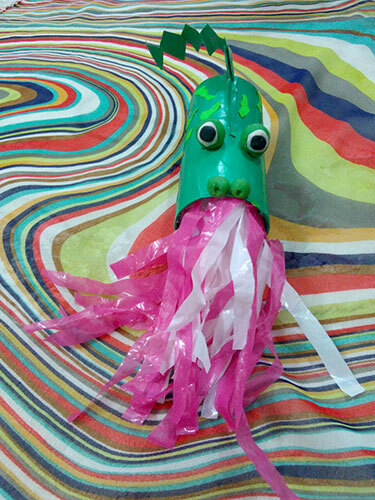 With the time difference, the Iranian families constructed their dragons first and took pictures of their creations. The Morgan proudly displayed the images in the Education Center during the Spring Family Fair, allowing New York participants to see the Iranian children’s designs. 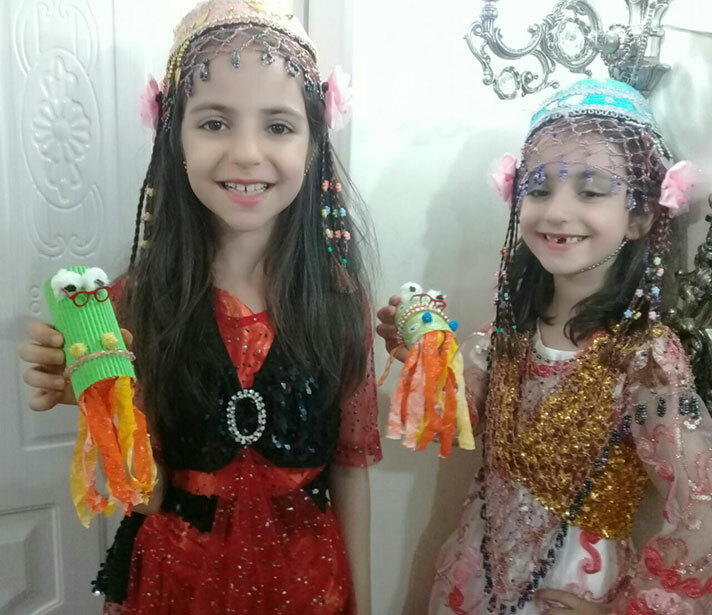 Since September of 2017, Azi has connected online with a community of more than nine hundred and thirty students in Iran. Using our online resources, she teaches with the Morgan’s collection virtually. Through video and photos she can show the Morgan’s collections, compare the Morgan’s pieces to objects in Iranian museums, and demonstrate projects. Our collection of cylinder seals and Persian manuscripts are always hits! It was a thrill for me, as Manager of Education Programs, to see our team engage with Iranian families and to see them enjoy the Morgan’s collection. And it was wonderful to be invited into the homes (however virtually) of fellow art lovers from so far away. 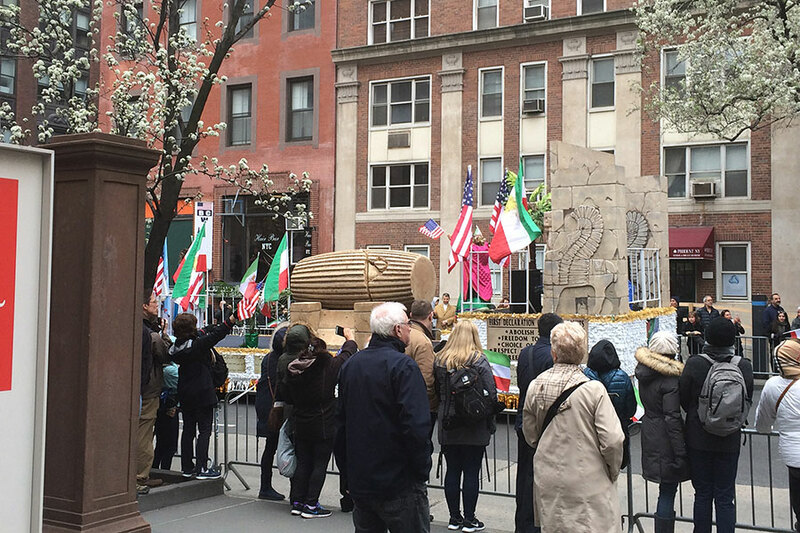 Coincidentally, on that Sunday morning, the Persian Pride Parade took place along Madison Avenue. From our front entrance, Morgan visitors could enjoy music, dance, and parade floats celebrating ancient Iranian culture. There was even an enormous replica of the Cyrus Cylinder, whose cuneiform text is discussed by scholars as an early example of human rights advocacy. It was fitting to see the American and Persian flags waving as we set up for our day of family programming here at the Morgan. Persian Pride Parade. Photography by Nicole Leist. Learn more about upcoming events on our Family Programs page. Nicole Leist is the Manager of Education Programs at the Morgan Library & Museum. She has an M.A. in Art History from Columbia University and an M.A. in Museum Studies from New York University. Nicole enjoys developing educational programming to promote inclusiveness and community—and talking about mythology whenever she can.